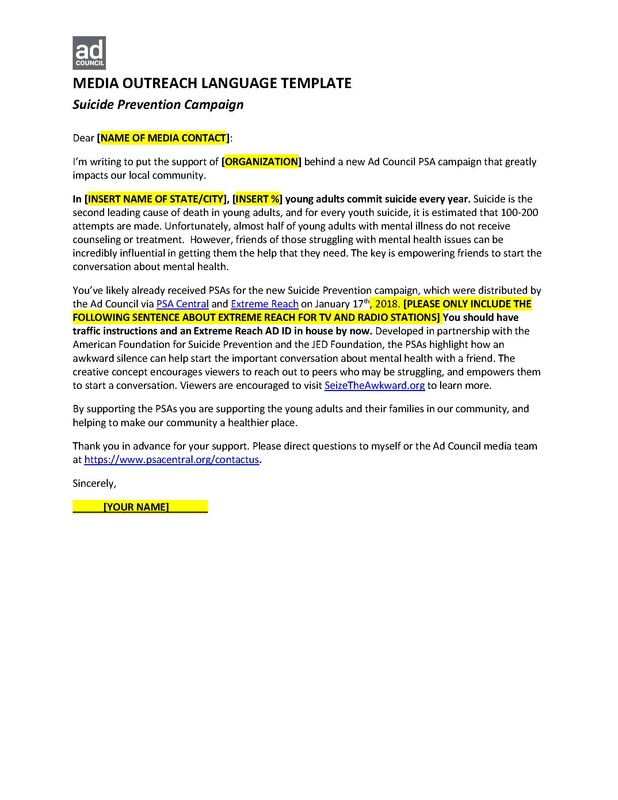 The following materials are provided to help you distribute the Suicide Prevention campaign with the media and throughout your networks. 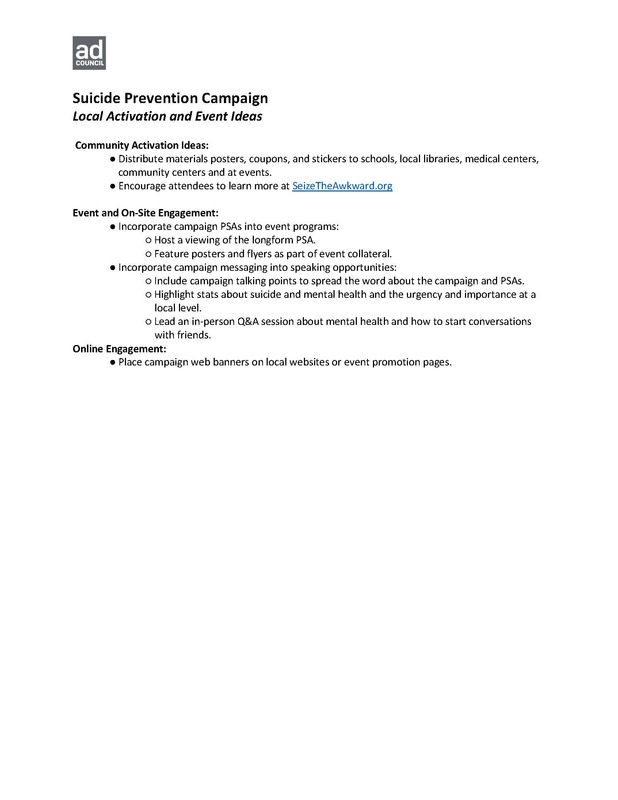 Instructions on how to download broadcast quality versions of the Suicide Prevention PSAs. Ideas to implement the campaign at local events. 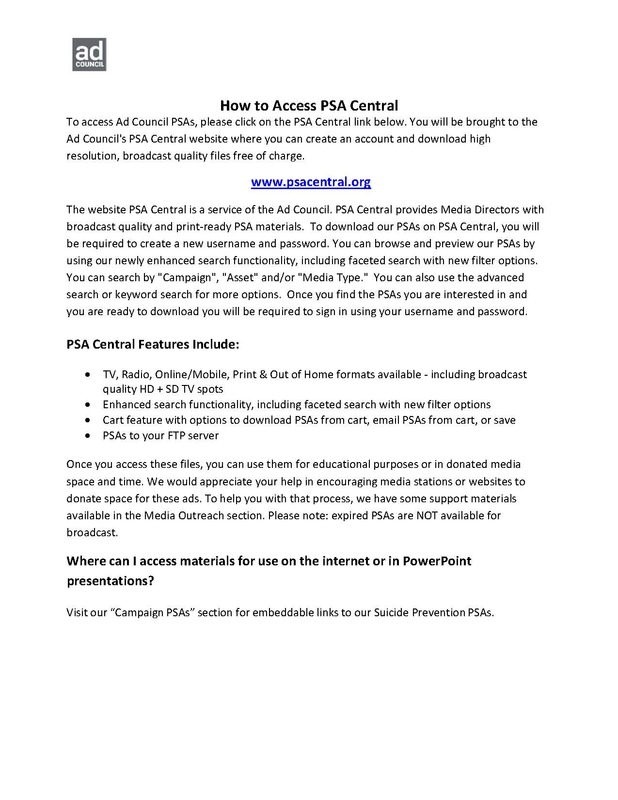 A PSA Director letter template that you can edit for your local outreach.